Donde esta la fiesta? Where’s the party? It’s Cinco de Mayo! 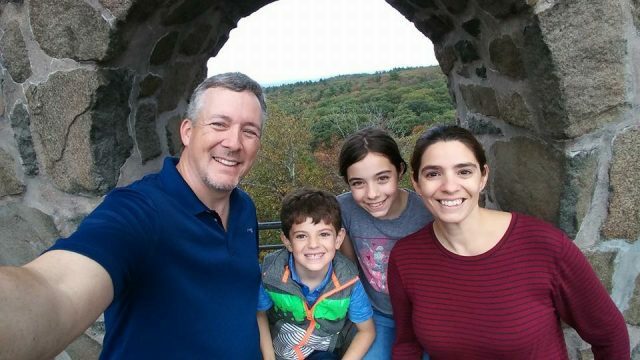 Whether you are at home or at Walt Disney World, you can celebrate the day Disney-style. If you are lucky enough to be in WDW on May 5th, head to Epcot. 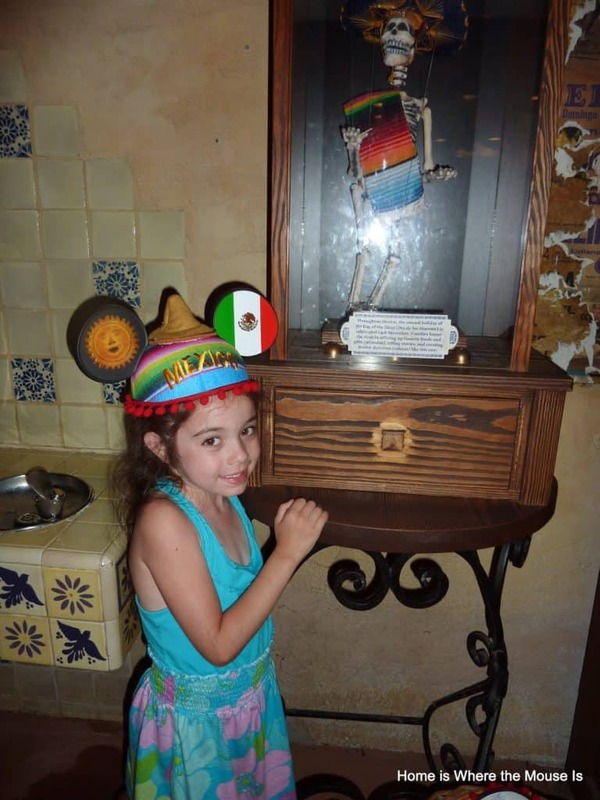 World Showcase’s Mexico Pavilion has all you need to have a fiesta! Lunch at La Cantina de San Angel – Stop off for a plate of nachos or some empanadas. 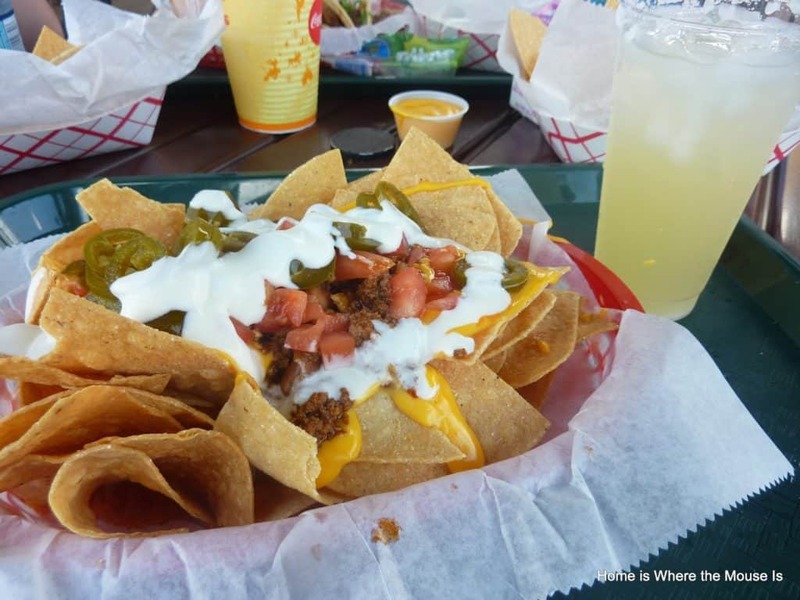 Don’t forget to wash it down with a refreshing margarita. Ride Gran Fiesta Tour – Join Donald and his Three Caballeros pals as they journey through Mexico. This relaxing boat ride is a great way to get out of the sun and cool off for a bit. 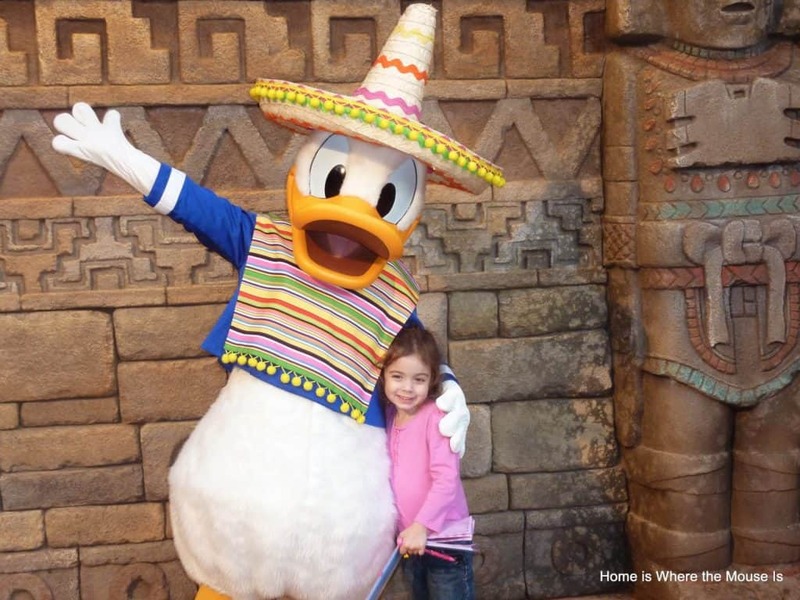 Picture with Donald – Posted outside of the Aztec temple is Donald Duck. Dressed in his sombrero, he’s there to greet guests and sign autographs. 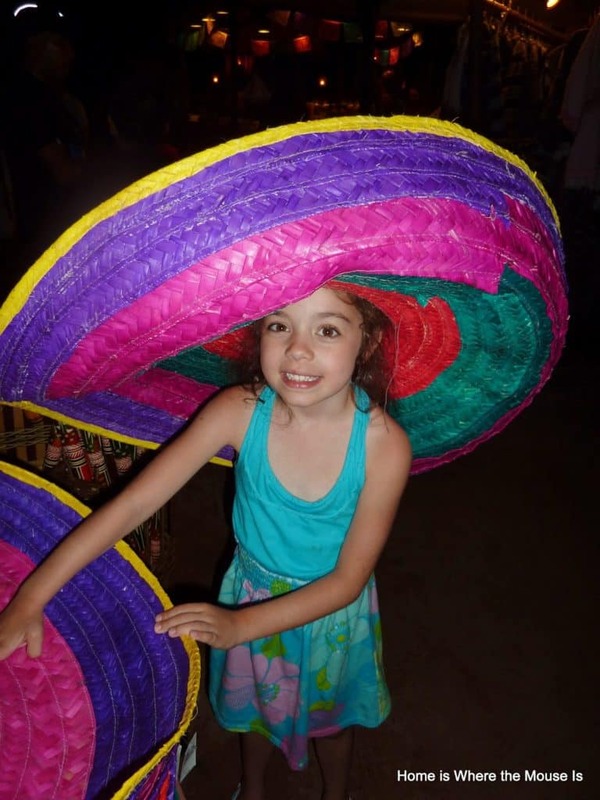 If you’re at home, you can still Disney-fy your Cinco de Mayo celebration! 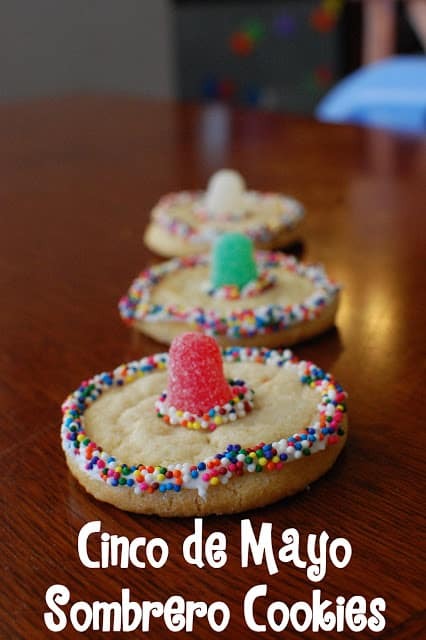 FoodYou can make Sombrero cookies for The Three Caballeros just like these. The best part is that they can be easily made using store bought cookies. For more information on how to make these visit here. If you are a fan of the Empanadas at La Cantina de San Angel, try this recipe from Spoonful. Churros are a one of our favorite Walt Disney World Snacks. 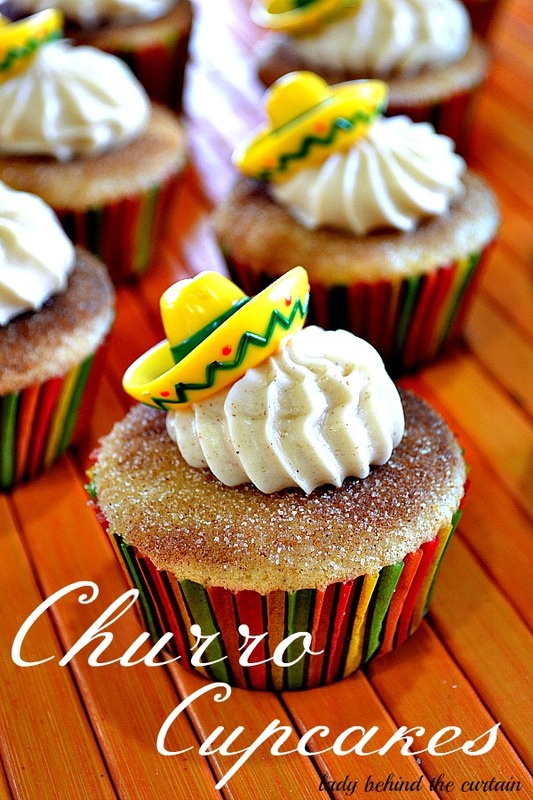 They can be a little difficult to make at home so I found these Churro Cupcakes. Don’t they look delicious? Recipe and how to can be found here. CraftsThe Three Caballeros are three happy chappies with snappy serapes. Using a paper bag, you can make your own serapes at home. 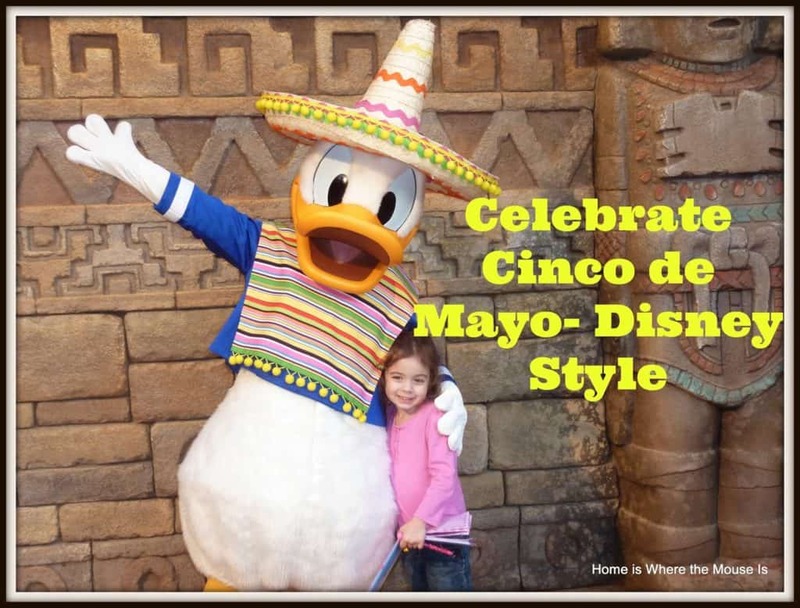 So whether you are home or away, you can have Disney magic everyday, even on Cinco De Mayo! How will you be celebrating Cinco de Mayo this year?